Here is a selection of photos from recent gatherings. The Zoomer group decided to take advantage of the good weather that October offers in Chautauqua County by meeting for a brown bag lunch at Noble Winery in Westfield, NY. 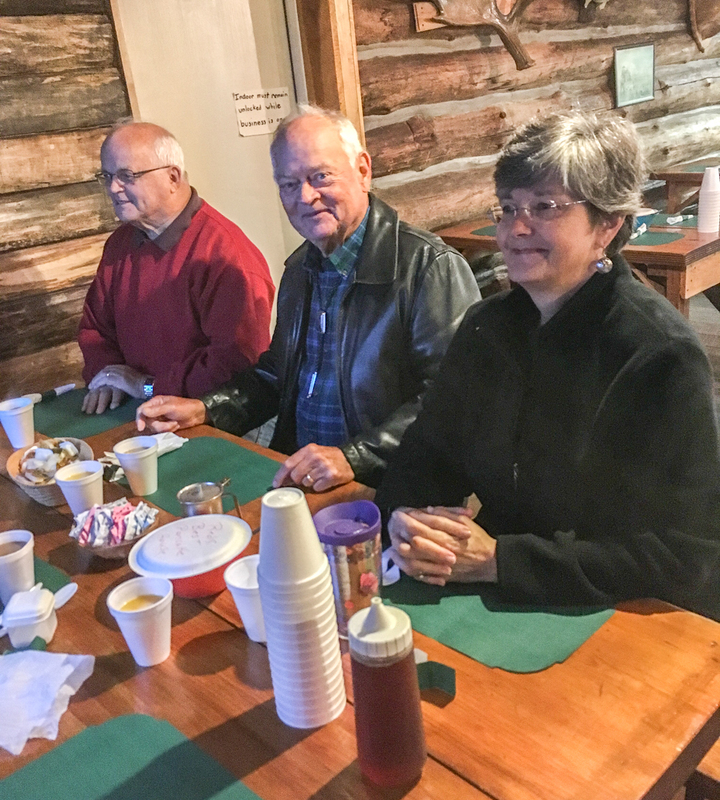 A group of Zoomers recently met for breakfast at local favorite hot spot Red’s Best Pancake House in Sherman, NY. Looks like everyone had a great time and got their fill of homemade pancakes and sausage with fresh maple syrup! An awesome number of Findley Lake residents and friends of the community showed up in the chill and the rain to witness the unveiling of Findley Lake’s first mural unveiling on October 13, 2018! Local artist Ehren Knapp painted a 70-foot mural in honor of Findley Lake and the history of this area. We are THRILLED to share photos from the ceremony! We are grateful to each and every individual who contributed their time, their resources, and their talent toward such an amazing and beautiful project!!! Community Connections at Findley Lake and the Chautauqua County Office for the Aging are sponsored this free public information forum on October 4th. This time was dedicated to helping those who needed to understand, review, or make changes to their health insurance coverage. Professionals representing Office for the Aging, EPIC, Medicare, Health Insurance Providers, and Community Connections were available for the session. Community Connections Summer Jam 2018! We shared a WONDERFUL evening with the community last Saturday evening! Here are a selection of photos from the Members and Volunteers Reception and the party that was open to the general public right after! Many thanks to everyone who joined us in Findley Lake! We are grateful for Christine Cheronis who prepared the delicious food, for Akoostically Challenged for offering up some great music, and for Alexander's for the refreshing drinks! We thank the Findley Lake Volunteer Fire Department for making us all comfortable by allowing us to use their tables and chairs. Without the parking lot graciously loaned to us by Larry Gross and Our Own Candle Company the event, as it was, would not have been possible. We thank him for that as well as all the help from Bill Simpkins and the Candle Company's staff in setting helping to set up and break down. We are especially grateful for our members and volunteers who are helping to make such a wonderful impact on this beautiful community. Chautauqua County Sheriff Joseph Gerace gave a presentation on identity theft to our community in September. We all shared a great talk that was very engaging and informative!